2 Comments for "Cucumber Salad with Tomatoes"
I really love rice salads! It's a great gluten-free alternative to pasta salad for your picnic. I've tried this with balasmic vinnegrette and it was really yummy! This recipe is pretty good! 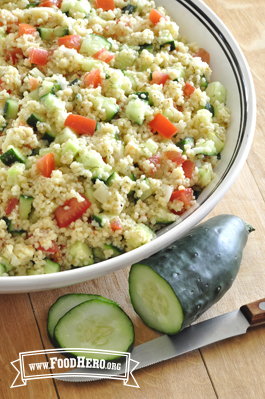 You can even make it healthier by using whole-wheat cous cous.